Gear up for an adventure with Mario and friends with these Super Mario toys! Power up with Mario, save Princess Peaches and solve exciting puzzles! 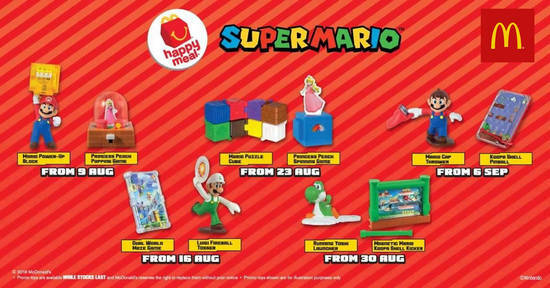 Score yourself these Super Mario toys for FREE with every purchase of Happy Meal beginning 9 August!